“Our members are not paid a king’s ransom and the pension is one of the things that encourages people to stay in the job." Pic: Staff who could walk out include Yeoman warders (pictured) and those involved in admissions, security, retail, IT and conservation at the Tower of London, Kensington Palace and Hampton Court. London’s Royal Palaces could face a walk-out over the busy Christmas period, with union members preparing to strike over changes to pension plans. A Public and Commercial Services union (PCS) ballot for strike action opened today, following unsuccessful attempts to convince Historical Royal Palaces – the charity which runs some of the biggest tourist attractions in London – to keep 133 staff in a defined benefits pension scheme. 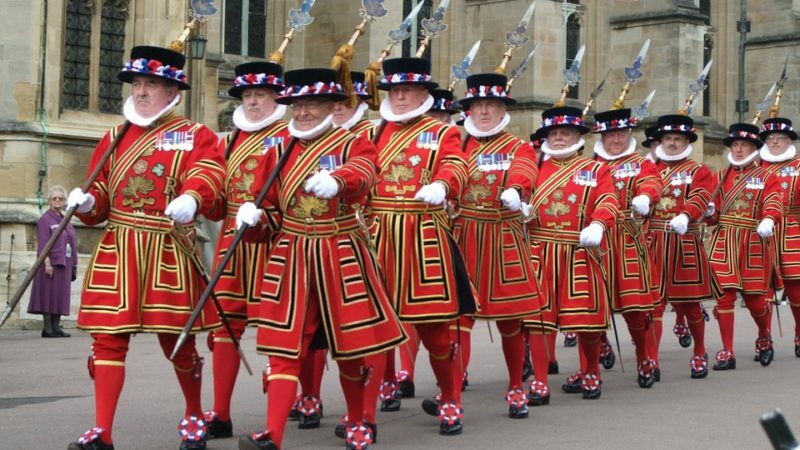 HRP looks after the Tower of London, Hampton Court Palace and Kensington Palace among many other historic sites, and is under fire for moving to a defined contribution scheme which will unions say will leave workers significantly worse off. The PCS claims staff will receive less in retirement than they were promised when they entered the pension scheme. Both PCS and GMB members have overwhelmingly rejected the changes put forward by HRP in two consultative ballots. Members are reportedly keen to reach an agreement over their pensions’ provisions through negotiations, but the pressure to take further action building. The union wrote to the HRP CEO John Barnes and his team to further negotiations, urging them to suspend the defined benefit pension scheme’s closure. But the PCS claims the charity ‘flat out refused’. “It is deeply disappointing that management have closed negotiations with the union and moved to impose a pensions’ deal that would leave staff significantly worse off. “Our members are not paid a king’s ransom and the pension is one of the things that encourages people to stay in the job and delivering a first class service to the public. “They will not lie down and we will be urging them to overwhelmingly support the strike ballot. The PCS and GMB are among the UK’s largest unions. “HRP’s decision to close the scheme came as a great surprise. Difficulties or the ability to afford the pension had never been muted before and members just see this attack on their standard of living for the rest of their lives. HRP are just jumping on the band waggon as they see other companies ending good defined benefit schemes, preferring instead to let the tax payer pick up the shortfall in the years to come. “The rising costs pose too great a risk for Historic Royal Palaces. We need to act in the best interests of the charity and of the majority of our staff, who will all benefit from a 2% increase in employer contributions to their pensions from April 2019 as part of the changes. Mr Barnes said the charity will await the outcome of the ballot. The palaces are owned by The Queen ‘in right of Crown’, meaning they are protected from closure or privatisation. Historical Royal Palaces is contracted by the Secretary of State for Digital, Culture, Media and Sport to manage the five London palaces on his behalf.